The three pillars for the success of any project are cost, effort and quality. The foundation of these pillars is based on estimation technique used for the project. However, historically it has been observed that lots of projects experience cost, effort and schedule overrun or poor quality. In most of cases, the project end up taking alternate paths to fulfil the budget constraint and ends up delivering an inadequate product/application/service. Institutionalise a culture to educate project teams about estimation (techniques/tools). 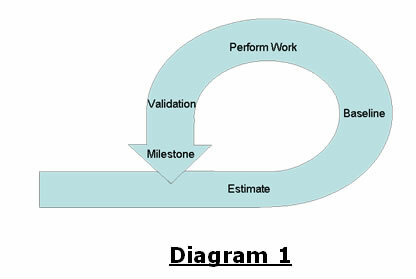 Encourage use of appropriate estimation techniques for different phases of the project life cycle. 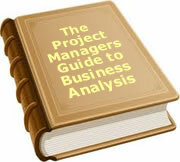 Empower project manager to estimate and re-estimate after every phase of the project life cycle (if necessary). Clearly defined guidelines for creating estimate baselines should be in place. Every change request should be documented and estimated. Project needs and requirements should be documented in such a way that inputs, outputs and process is defined. The clearer the input, the better is the estimate. One aspect of project estimation which has been ignored most of the time is size estimation which is very essential to measure project performance, build baselines or perform comparative analysis. Organizations should perform size estimate and use organizational productivity baseline (per size unit) for estimating project effort. It goes without saying that leaders should validate project performance based against the plan and use metrics based on project estimates (size, effort, cost and schedule) and actuals for decision making. Risk management mechanism should be established / improved and should capture risk occurrence information centrally for future reference. Improved risk management will reduce uncertainties (contingency factor) and hence will help to provide better estimates. Leadership should also sponsor tools and techniques based on estimation methodologies to check project health and decision making. Essentially estimation effectiveness is nothing more than how close your estimates are to actuals. Mr. Rahul Sonje has over 7.5 years of total work experience in the area of IT Consulting, Project Management and Software Quality. He was with estimation Center of Excellence at the IT Process & Service Management group, Global Consulting Practice, TCS. In his past engagements, Rahul has implemented Microsoft enterprise project management for fortune 500 companies. He has supervised projects in the domain of web based application development & Business Intelligence. He is also Six Sigma green belt certified and MCP for SQL Server 2000. He brings with him multi-industry experience having consulted and worked with organizations in IT, Financial Services, Energy, Government and Media. To date, 40 people have rated this article. The average rating is 3.10 - Add your rating. Just select a rating and click the button. No other information required.